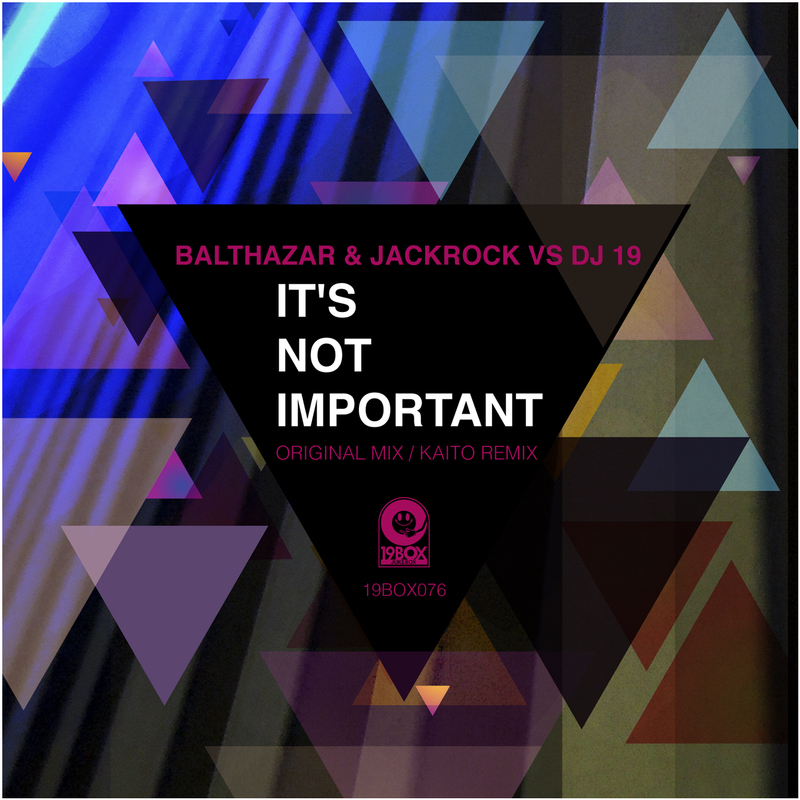 19BOX RECORDINGS’ label boss DJ 19 teams up with Balthazar & JackRock for the label’s first release of 2014 and it’s absolutely rocking! 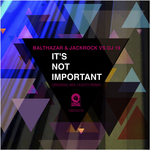 Balthazar & JackRock are well known artists based in Bulgaria's capital of Sofia. The duo have released original tracks and remixes on respected labels such as 1605, RESPEKT, IAMT, DRIVING FORCES, BINARY 404, ARMADA MUSIC BUNDLES and of course their own RENESANZ, BEAST FACTORY and TEXTRO imprints. ‘It’s Not Important’ has already been included on the RENESANZ’ compilation “Renesanz Christmas Box”, but now it finally sees a release from 19BOX RECORDINGS in the form of a single with an excellent Kaito remix. Kaito is well known as an artist of KOMPAKT. He has also released tracks on the Greek label KLIK RECORDS and other labels under his real name of Hiroshi Watanabe. While he is based in Tokyo, he has been involved in New York’s house music circles since his graduation from the Berklee College of Music in Boston, USA. As such, he has released numerous tracks on prominent NYC labels such as DEEPER REKORDS, NITEGROOVES and BPM KING STREET SOUND in the past. That said, the past is the past. The original mix has a techy and groovy sound. Kaito flips that concept on its head and takes on a minimalistic approach layered with a wallop of atmosphere. 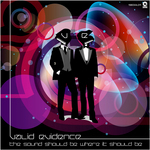 Valid Evidence, the Japanese Balearic outfit formed by DJ 19 & Yu-Ta is back in action with their epic 2nd album entitled “The Sound Should Be Where It Should Be”. Valid Evidence’s trademark piano sounds make you feel as though you’re lying a warm beach while the breeze blows off the sea. Alternately, their music is a perfect fit for regular activities like jogging, cooking and so forth. As the title of the album suggests, their music is the sound that should be where it should be - whatever the situation! Taiwanese producer Feo returns to PARK LIMITED MUZIK with his debut original track entitled ‘Division’ instead of his remix work. He has already delivered remixes of Hot Station’s ‘Paint It Black’, and Ambrozia’s cover of ‘On The Beach’ by Chris Rea to PARK LIMITED MUZIK. On the remix tip we bring you the sounds of Swedish techno producer Andy Notalez who’s also known as the owner of YELLOW RECORDINGS, a label that focuses on established artists in the techno scene. His take on the track has added an energetic techno flavour to the techy feel of the original production. Taiwanese producer Feo returns to PARK LIMITED MUZIK with his debut original track instead of his remix work. He has already delivered remixes of Hot Station’s ‘Paint It Black’, and Ambrozia’s cover of ‘On The Beach’ by Chris Rea to PARK LIMITED MUZIK. Feo is a graduate of the Vancouver, Canada-based branch of the prestigious North American Art Institute. His formal training there has generated quite the arsenal of production skills even though he has yet to release an original track up until now! 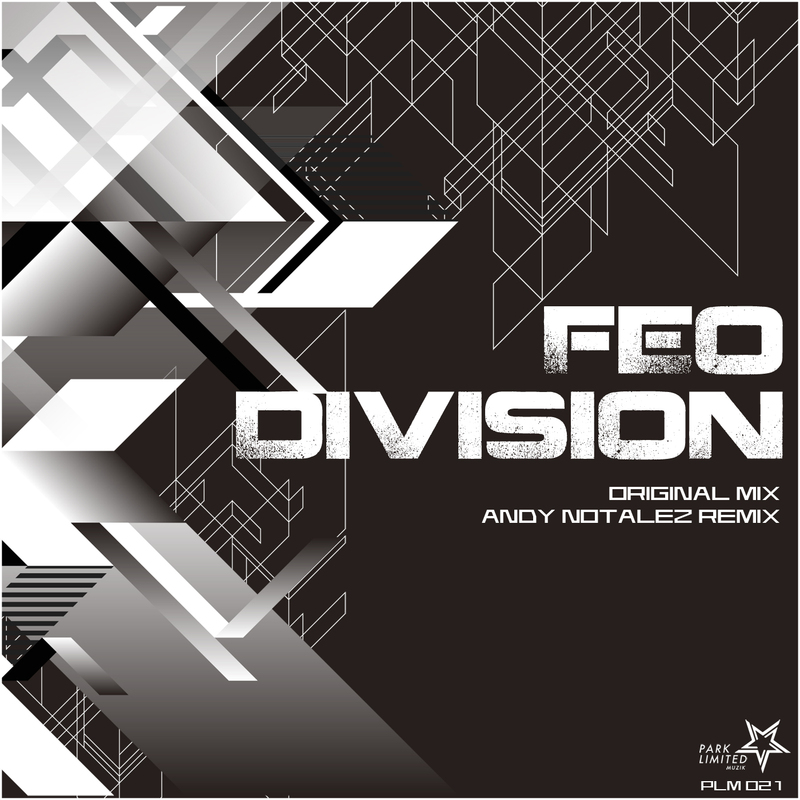 After a chance meeting with DJ 19 in Taipei, Feo picked up on several techniques, which has resulted in him finally releasing his debut single entitled ‘Division’. On the remix tip we bring you the sounds of Swedish techno producer Andy Notalez. 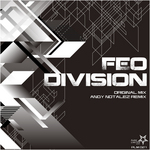 Andy has released tracks on a discography spanning over 25 labels. He’s also known as the owner of YELLOW RECORDINGS, a label that focuses on established artists in the techno scene. His take on the track has added an energetic techno flavour to the techy feel of the original production. 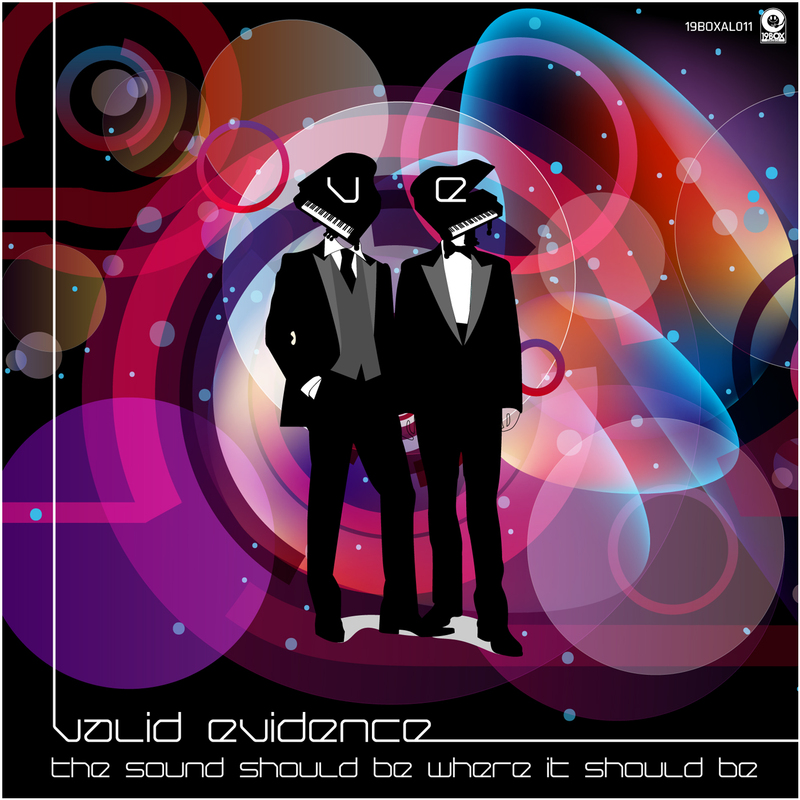 Valid Evidence, the Japanese Balearic outfit formed by DJ 19 & Yu-Ta is back in action with their epic 2nd album entitled “The Sound Should Be Where It Should Be”. Their first album “This Is A Journey Into Sound” was released in 2008. After releasing their debut album, they have been busy remixing many artists such as Luka G, Sumantri, Hovelmann and releasing a remix project called ‘Journey’. As such, you may already be familiar with the remix versions on ‘Journey’ or those tracks that have been featured on compilations. The album includes 4 cover tunes. ‘I Like Chopin’ was previously brought to fame by the Italian artist known as Gazebo. However, in Japan a cover version by Asami KobayashiI is more popular than original. As a result, they have covered the Japanese cover version. ‘Casino Royale’ is famous for the music done by Herb Alpert and The Tijuana Brass on the James Bond film. The 3rd cover is ‘The Way It Is’ that was a number one US Hit in 1986 by Bruce Hornsby and The Range. Finally, the last cover is of the 1980s Wham! holiday classic ‘Last Christmas’ done in a Spanish Balearic Islands chilllout style. Valid Evidence’s trademark piano sounds make you feel as though you’re lying a warm beach while the breeze blows off the sea. Alternately, their music is a perfect fit for regular activities like jogging, cooking and so forth. As the title of the album suggests, their music is the sound that should be where it should be - whatever the situation!